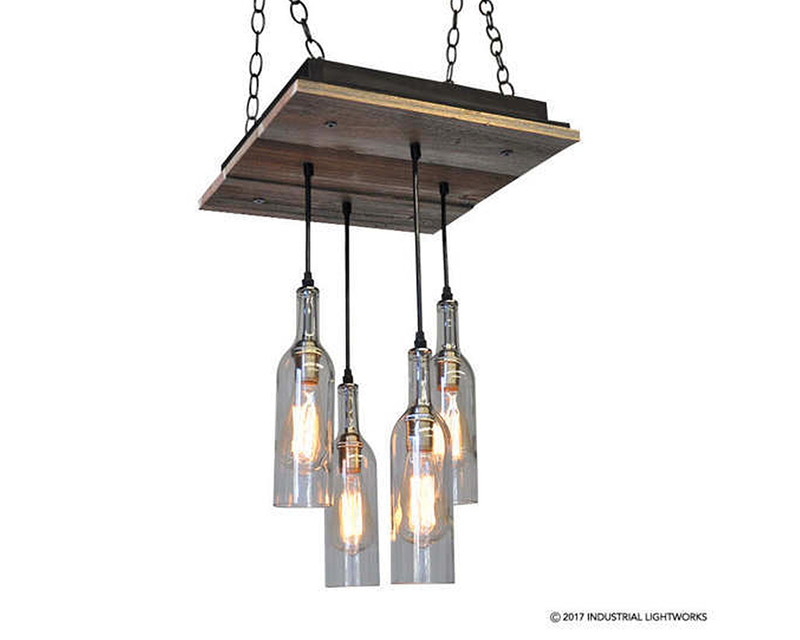 This chandelier features a square reclaimed wood base and recycled wine bottles. All of the wood boards are naturally weathered, and vary in color and texture. The 4 wine bottles are clear glass. 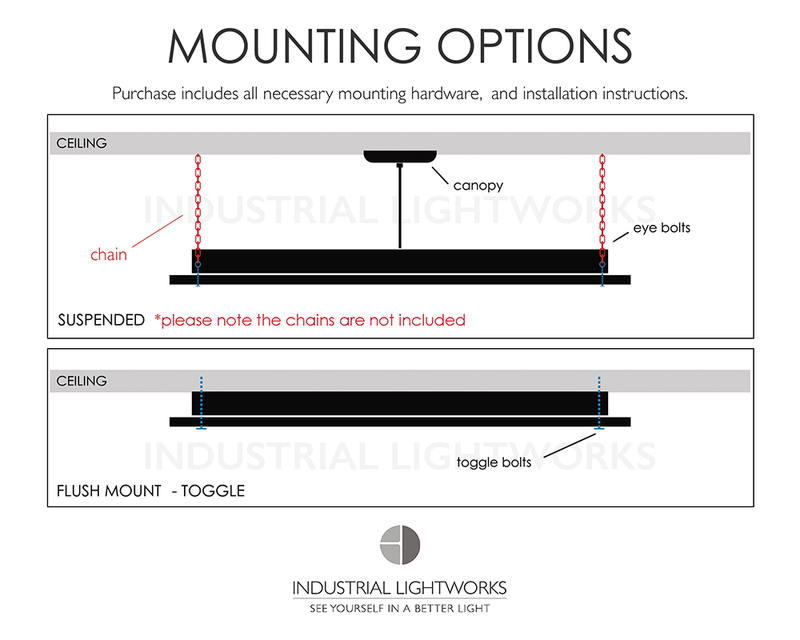 The pendant cord is black rubber. All of the bulbs are dimmable. Bulb: Edison (dimmable) Watts: 120w.